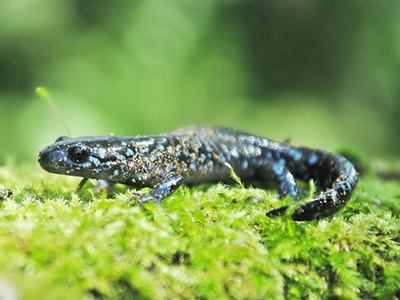 This is a blue-spotted salamander. 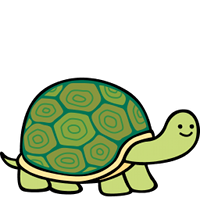 Salamander is a term that refers to 500 various species of amphibians. The Giant Salamander is the world's largest amphibian. 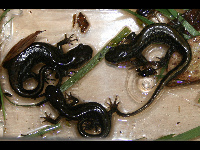 Many Salamanders are in the Lungless Salamander family. Lungless Salamanders get air directly through their skin.